In the beginning, the Neshnabek (Original People) settled along the shores of the great salt water (Atlantic Ocean), near the mouth of the St. Lawrence River. Movement began towards the Great Lakes. Near Saulte Ste. Marie, the Neshnabek split into three groups – the Ojibwe (Keepers of the Faith), the Odawa (Keepers of the Trade), and the Bodewadmi (keepers of the Fire). This relationship is known as the Three Fires Confederacy. The Potawatomi moved towards Southwestern Michigan. First encounter with Europeans: the French explorer Jean Nicolet visits the Potawatomi near Red Banks (Green Bay, WI). As strong allies of Nouvelle France, the Potawatomi control the fur trade in the Western Great Lakes. In 43 treaties, the Potawatomi were forced by the US Government to cede all their lands between Wisconsin and Ohio. In the 1833 chicago treaty, the largest land cession contained 5 million acres. After the signing of the 1833 treaty, most Potawatomi were forcibly removed west. This march became known as the “Potawatomi Trail of Death”. Simon Kahquados, last known Chief of the Wisconsin Potawatomi is born at Black Earth Village in Kewaunee County. The Reverend Eric Morstad assists several strolling Potawatomi families near Wabeno, WI homesteads under the Indian Homestead act of 1884. W.M. Wooster, b.I.A. Special agent conducts census and reports 1,972 Wisconsin Potawatomi Indians. Through the efforts of Charles Kishek and Reverend Eric Morstad, 11,786 acres of land is purchased using treaty monies. Native Americans are granted U.S. Citizenship by act of Congress. Simon Kahquados, said to be the last known Chief of the Wisconsin Potawatomi, dies at the home of William Tahwa near Blackwell at the age of 75. The Indian Reorganization Act or Wheeler-Howard Act is signed into law. The Potawatomi Tribe is reorganized under the Act of 1934 and officially become the Forest County Potawatomi Community. Ben Ellick becomes first Tribal Chairman. Historic Dance Bowl at Devils lake Completed.
. National Indian Gaming Act (N.I.G.A.) passed. 15.6 acres of land purchased in Milwaukee’s Menominee Valley. Forest County Potawatomi and State of Wisconsin sign gaming compact agreement. 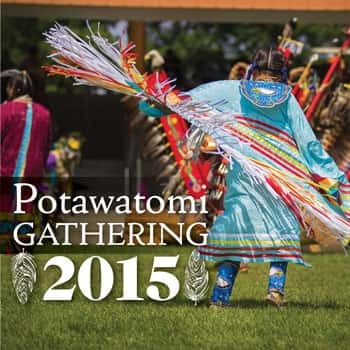 First Potawatomi Nation Gathering in Canada. Tribal Court established on reservation. 320 acres of former dairy land purchased in Blackwell for Red Deer Ranch operation. Forest County Potawatomi Health and Wellness Center opens. Kim Wensaut, tribal member, establishes first tribal newspaper called, the Potawatomi Traveling Times, a bi-monthly newspaper about the events of the Forest County Potawatomi Community. Forest County Potawatomi Youth Recreation Center Opens. 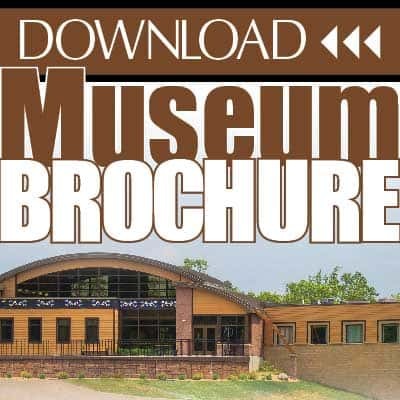 Forest County Potawatomi Tribal Museum officially opens with permanent exhibit entitled, People of the Three Fires. The Forest County Potawatomi and Sokaogan Chippewa communities purchase former proposed Crandon Mine Site ending 20+ years of controversy. A four tribe alliance of the Potawatomi, Oneida, San Manuel Band of Mission Indians and Viejas Band of Southern California build a partnership venture and open the Residence Inn in Washington D.C.